Series excited AM towers require some way to get standard AC across the base insulator to the tower lights, if tower lights are required. 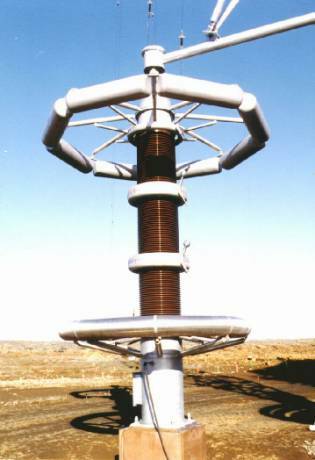 While many new AM towers do not have base insulators, through the use of a folded unipole, it is still a very popular design and has several technical advantages. When to use which depends on the tower and the RF potential on the base of the tower. For towers that are under 140 electrical degrees (RF) and carrier power levels up to 100 KW, a lighting choke works well. They are simple and less expensive than an isolation transformer. They can be installed inside the ATU cabinet or placed in their own weather proof enclosure as required. Tower lighting chokes will add series impedance to the base of the tower and needs to be compensated for by adding capacitance to the circuit. This will become more pronounced at the lower end of the band, where, if one is not careful, RF from the tower can be coupled to the transmitter building’s AC mains, which is very undesirable. Peak voltage is determined by the base impedance and carrier power + modulation. On any AM station these days, a 150% peak modulation figure should be used (125% modulation allowed by FCC rules plus a 25% safety factor). For example, station B has a base impedance of 50Ω (typical 90° guyed tower) and a carrier power of 50 KW. The peak modulation power will be 600 KW. Thus, the peak voltage will be Epeak = √Ppeak x R, or Epeak = √600,000 watts x 50 ohms or 5,477 volts. With higher base impedances, the base current goes down but the base voltage goes up. 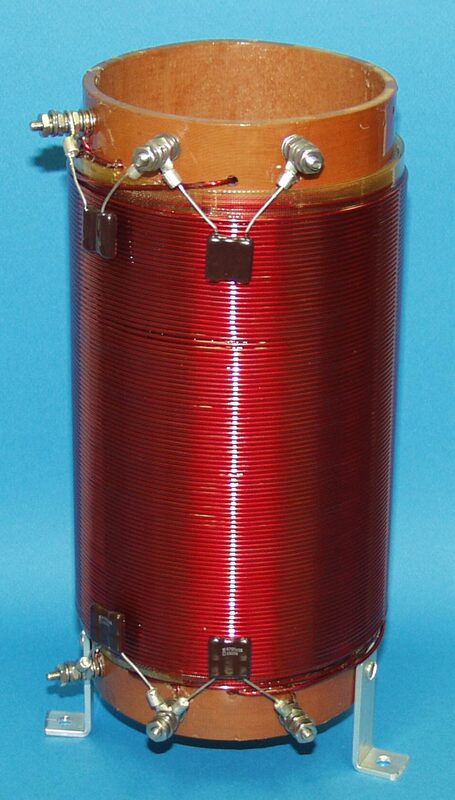 A typical 140° tower will have a base impedance of 760Ω. Thus the peak base voltage for a 50KW carrier power modulating at 150% will be 21,354 volts. This is the worst case scenario, as few installations are designed that way and every tower impedance is different than the theoretical self impedances given. For towers over 140 electrical degrees, it is better to use an isolation transformer because of the RF peak voltage/peak current conditions at the base of towers that are electrically tall. 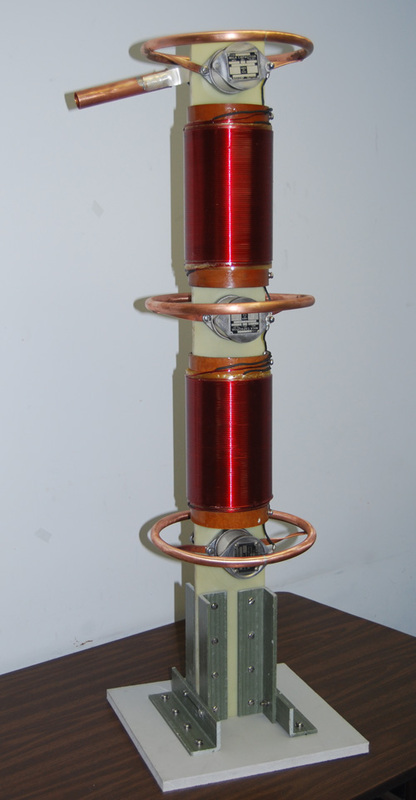 The ring transformer design minimizes stray inductance or capacitance at the base of such towers. Austin Insulators (previously Austin Decca) makes a variety of tower base ring isolation transformers. These having varying input and output voltages. Voltage drop is another consideration in tower lighting design. Long runs from the transmitter building to the tower should be on heavy gauge wire and at 230 volts if possible. FAA Circular AC 150/5345-43F “Specification for obstruction lighting equipment” advises that the input voltages for incandescent lighting systems vary by not more than ±3%. Additional tower lighting and painting information can be found in FAA Circular AC 70-7460-1K.